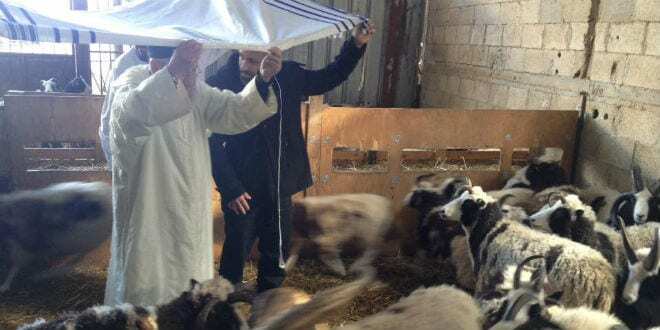 Renowned Israeli kabbalist Rabbi Amram Vakhnin arrived at the new home of Jacob’s Sheep in Nes Harim on Sunday where he blessed the flock in a deeply moving ceremony. 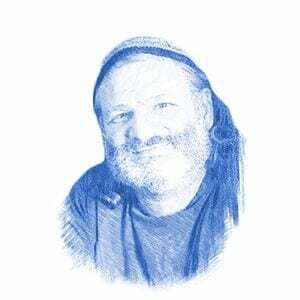 Rabbi Vakhnin then revealed to the Lewinsky’s that now the sheep are in their ancestral homeland, the couple is permitted by Torah to earn money from their wool and milk. But, warned the rabbi, it is prohibited to sell them for their meat. Further, the couple’s main purpose and God-given task is to increase the herd until the sheep fill the Land of Israel. Gil explained to Breaking Israel News how he understood this. The Lewinsky’s have been battling bureaucracy, struggling for years to return the sheep and at one point, nearly gave up. On a trip to Israel last year, while searching for a home for their flock they met with Rabbi Vakhnin, a noted kabbalist. The rabbi gave them a blessing for success in their mission and told them the sheep were very dear to him. Gil and Jenna Lewinsky’s dream of returning to their ancestral homeland, reuniting Israel with the ancestral flock, finally came true in early December, and they attribute their improbable success to the kabbalist’s blessing. Originating in Canada, 119 sheep traveled 2,100 miles in thunder and rain from Vancouver to Toronto by truck, where they sat in quarantine for four months before being allowed to fly to Israel. The first of eleven flights landed six weeks ago, but the sheep still needed to sit in Israeli quarantine. Though this short stopover should have been the easiest part of the journey, it proved to be the most difficult test. The search for a home became desperate. A former ostrich farm they found in southern Israel had minimal structures for both the flock and its shepherds. Surrounded by the harsh desert, wolves and jackals circled the camp at night, drawn by the smell of the flock. There was barely enough drinking water, and the generator provided just two hours of electricity a day. When the region was hit with fierce rainstorms, the structures collapsed and the sheep, already stressed from travelling around the globe, suffered. 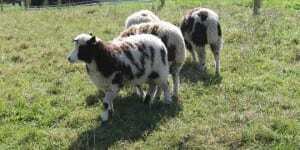 Five sheep died, including Solomon, one of the oldest rams. The sheep have traveled across the world and back again, searching for their shepherd on two continents. Genetic tests have shown that this breed is originally from the Middle East, and Rabbi Vakhnin told the Lewinsky’s that he knew these sheep were descended from Jacob’s original flock. Jacob’s sheep have returned and it is time for the blessing they bring to be revealed.